Is Opening a Store Credit Card to Buy Furniture a Bad Idea? When you need new furniture, you may be tempted to finance it at 0% from a furniture store. After all, that’s just like getting an interest-free loan, often for multiple years! So is opening a furniture credit card really a bad idea? According to one of our Nerds who actually did this, yes! Let’s examine why there may be more desirable options to pay for your furniture. What’s a furniture store credit card, and why isn’t it the best idea? When you walk into a furniture store and see offers for 0% interest financing for a certain number of months, this offer may be for the store’s credit card. Like other store credit cards, it has interest rates that may be upwards of 25%. The difference between most store credit cards and furniture store credit cards is the introductory rate of 0% for one or more years. This 0% introductory rate is like getting an interest-free loan on your furniture, which makes a lot of sense. Unfortunately, there are some definite downsides to using one of these credit cards. Besides the high interest rate, there are other drawbacks. Loan of “last resort.” Furniture financing plans are often viewed as “last resort” loans by creditors, because they’re easier to qualify for than other credit accounts and come with absurdly high interest rates. I talked to Todd Zywicki, a law professor at George Mason University, about why these may be considered “loans of last resort.” Furniture stores that offer financing typically cater to high-risk borrowers who are unable to obtain credit elsewhere and, therefore, are more likely to default. To protect themselves from default, furniture stores use the purchased furniture as collateral, and also tend to build the price of the financing into the price of the goods. If the consumer fails to pay, the goods will be repossessed. If the consumer pays before any interest is incurred, the price of the furniture likely already covered the interest costs. Little to no room for negotiation. Many large purchases, like cars or furniture, are up for negotiation to a certain point. However, when you apply for a furniture credit card, you aren’t going to be able to negotiate much, if at all. After all, why would they let you? They know you have the credit limit to pay the balance. There is a better option for people who wish to negotiate, and I’ll get to that in a bit. Back Interest. If you’re unable to pay off the entire credit card balance before the introductory rate of 0% expires, you’re in for a rude awakening. 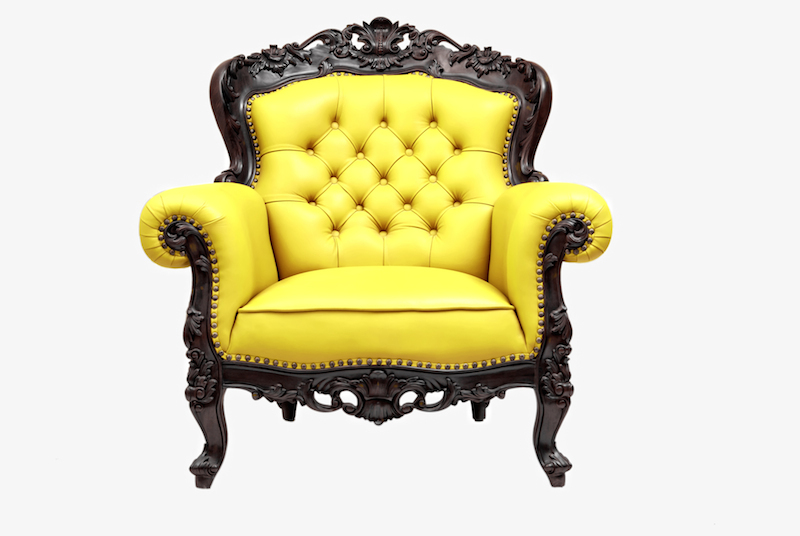 The traditional furniture credit card requires you pay the deferred interest from the entire length of your loan. So if you don’t pay your balance in full, you’ll owe every dime of interest you would have owed if there wasn’t a 0% introductory rate to begin with. Of course, if you do pay it off in full before that time, you won’t owe any interest. Yes! There are two possible better options — a regular credit card or cash. While we realize these payment methods are polar opposites, they both have their merits. If you choose to go the regular credit card route, there are a few options. If you have the cash to pay for the purchase in full, you can put your furniture buy on a rewards credit card to get cash-back or travel rewards. Just make sure you don’t drive up your utilization ratio over the recommended 10-30%. If you want the interest-free loan, you can put the purchase on a 0% introductory APR card. Or you can take advantage of both by choosing a card with both an introductory 0% APR period and rewards. If you choose to pay with cash, you may be able to negotiate the price of your furniture. Cash is king for a reason, and a wad of greenbacks means the vendor won’t have to pay credit card fees and the payment is guaranteed. This is a great option for people who enjoy negotiating and are able to front the cash for their purchase. According to Zywicki, while states are able to regulate interest rates that can be charged to consumers, they can’t regulate the price of a couch. Deals like “12 months same as cash” are likely a fallacy, because the financing is added to the price of the goods. Offering cash is more likely to get you a fair deal on your furniture purchases. Signing up for a furniture credit card is tempting, but there are definitely better payment options out there. If you do choose to finance through the furniture store, make sure to pay the entire balance before the introductory period expires in order to avoid paying interest.